I want to share with you today, a fun game that my students are always thrilled to play. It helps them build up their understanding of place value and seeing numbers as groups of tens and ones. I use a commercially produced game called 'Pop for Numbers' that is great for Numeral Identification. It has lots of gumball cards inside that each feature a numeral. Students take a ball from the container, and collect the same number of ones. if a 'pop' card is revealed, this player returns all their blocks to the tub and must turn their gum ball numbers over. The building then commences again. 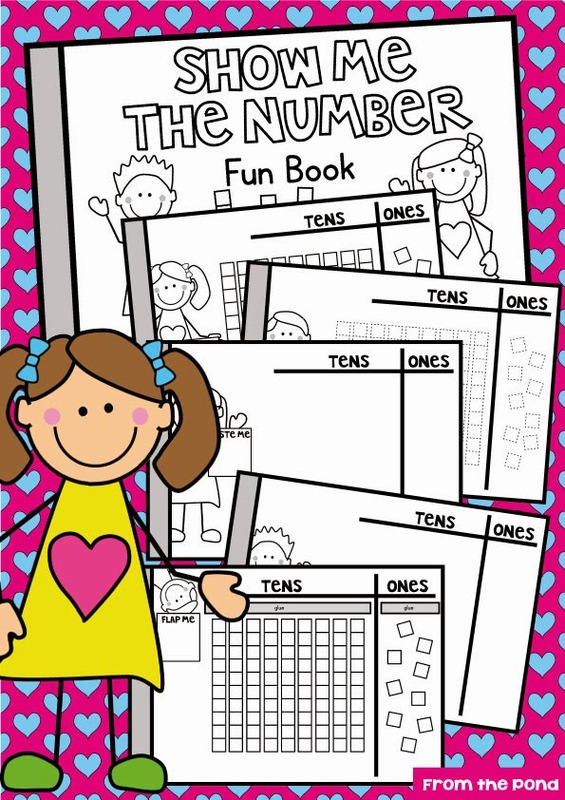 Your students may also like to practice building specific numbers using a new file of mine called "Show Me the Number Fun Book". You will tell them a number for each page, and they can use MAB equipment to build the number. 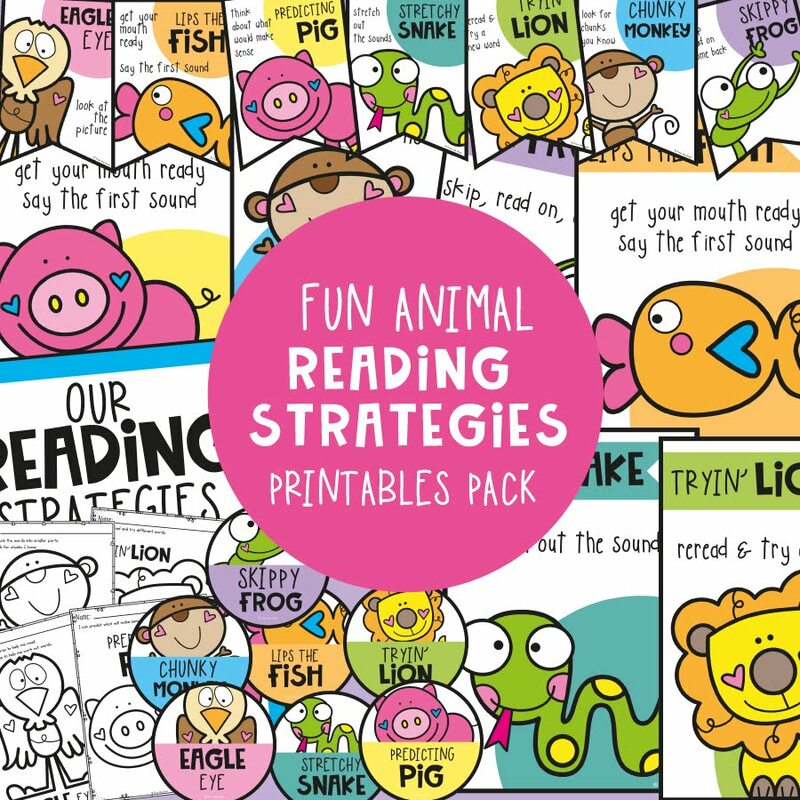 The pages of this file can be printed and made into books for your students. You will direct the students to write a number on the "show me" card..
to show their understanding of the numbers. 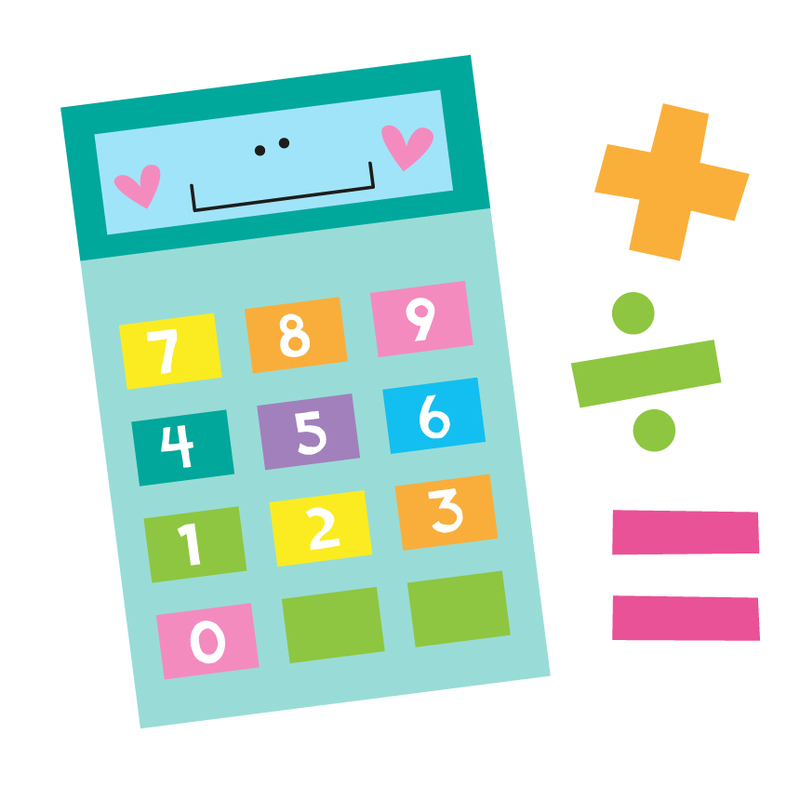 You can direct your students to show an understanding of numbers between 1 and 99! 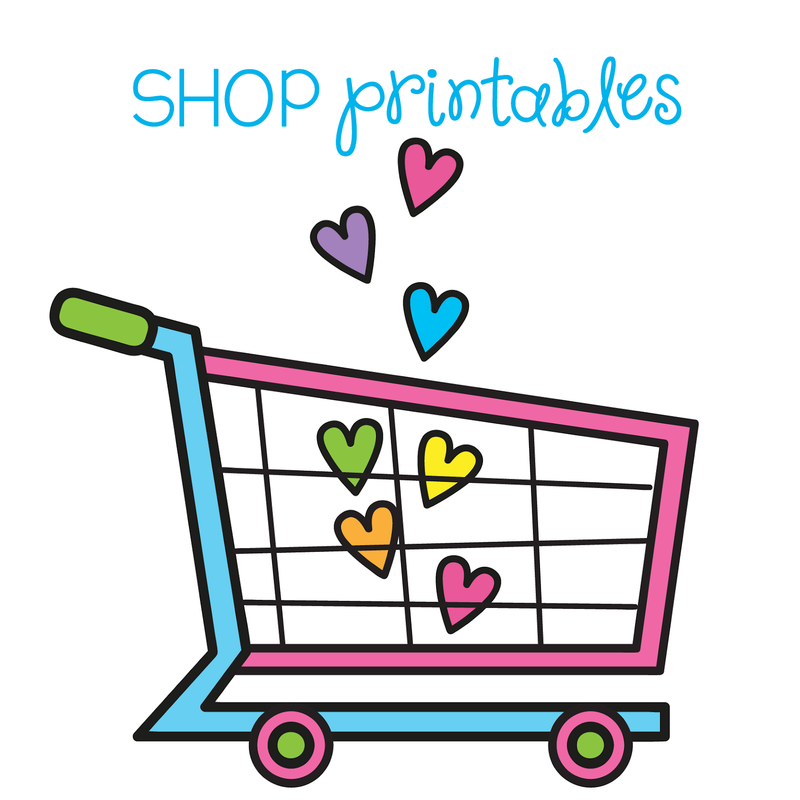 Find it here in my TpT store! Have fun with your tens and ones! Thanks for stopping by! 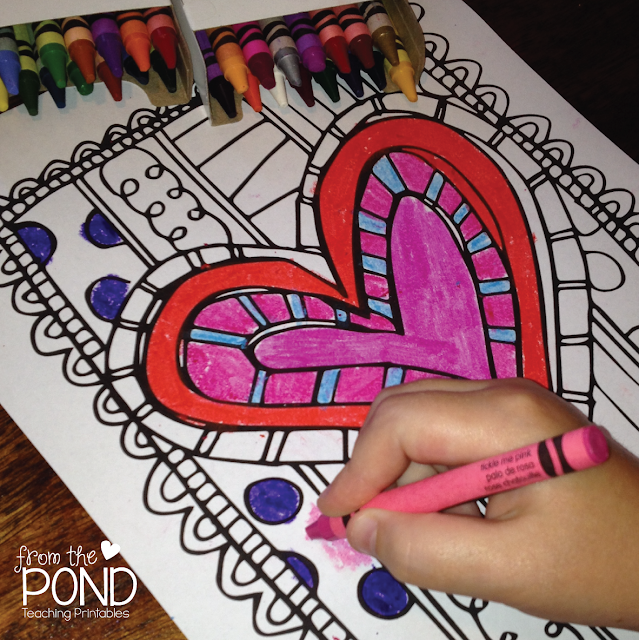 Brooke from Teachable Moments has a brand new Link-Up for blogs that need a little bit of love! 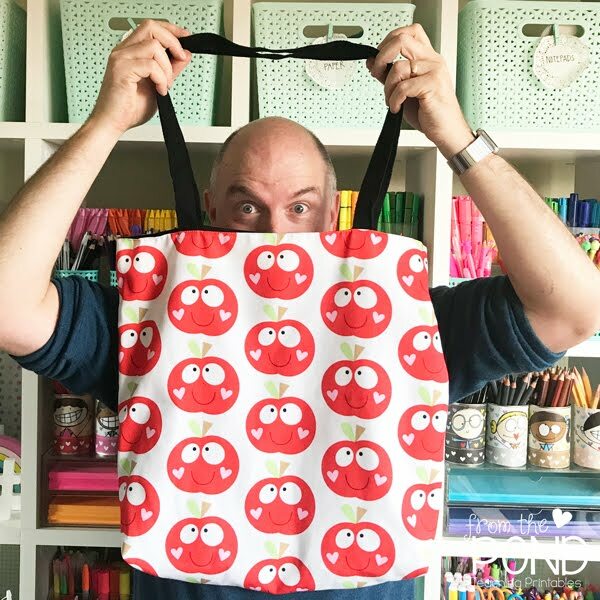 We have been on Summer Break here in Australia for the last 5 weeks and head back into the classroom next week... sigh... so our blogs have been a teeny tiny bit neglected.. So this post will hopefully patch things up somewhat and shower a little bit of love on our blogs. 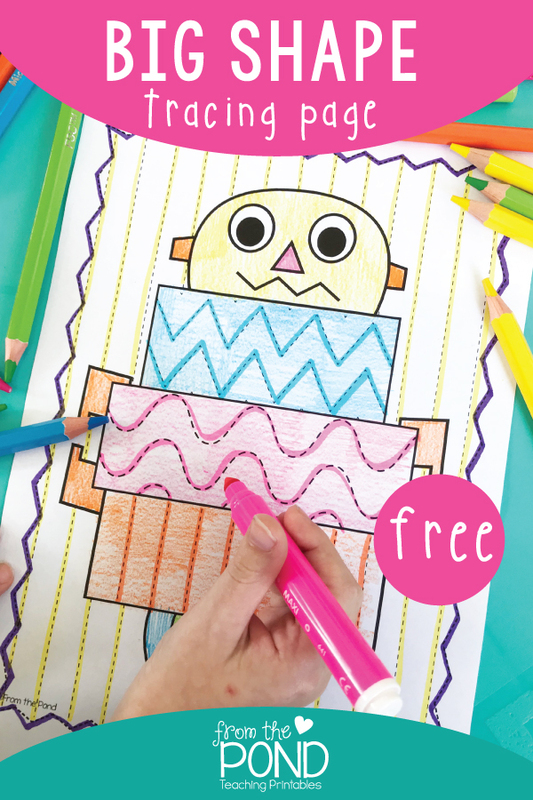 I made this printable scrappy worksheet for the first week of school. It is great to start the first week with a few "getting to know you" activities! 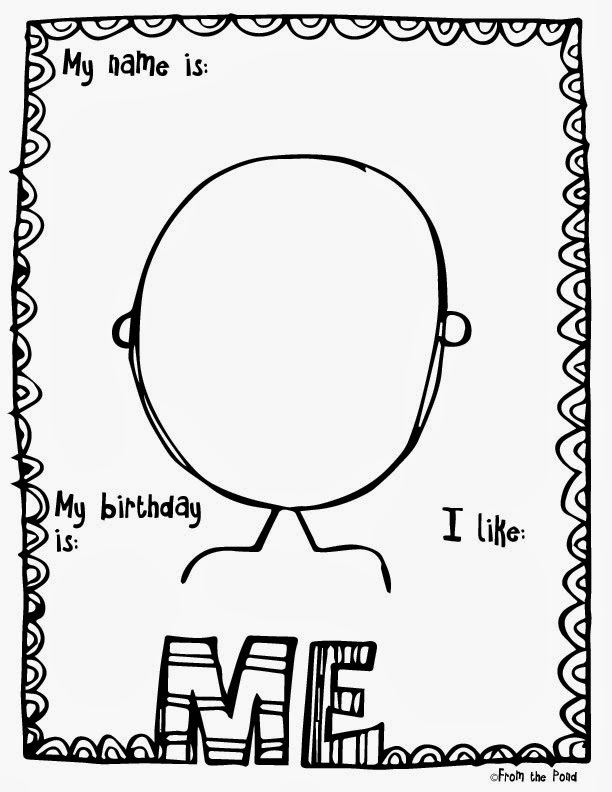 Students can finish this picture by drawing in their facial features and filling in some basic information about themselves. 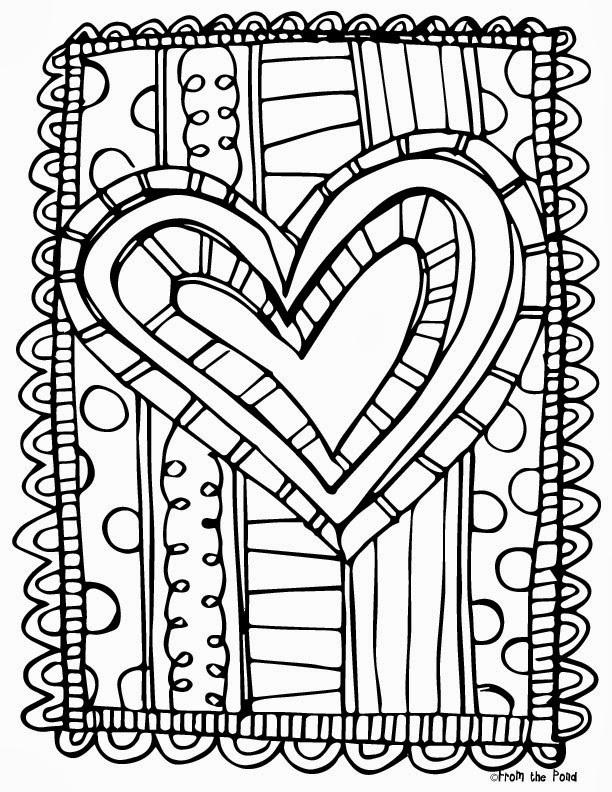 Everyone loves a scrappy coloring page! We have one ready for you for Valentine's Day. 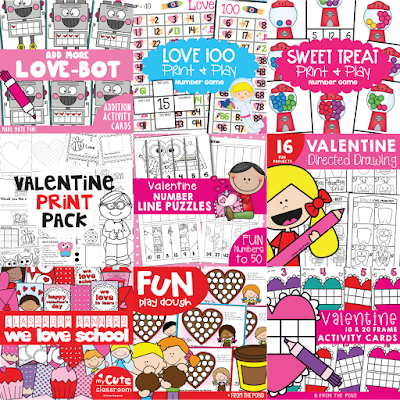 If you need more printables and ideas for incorporating a Valentine's Day theme into your learning space, pop over to our TpT store and have a look through our growing collection! 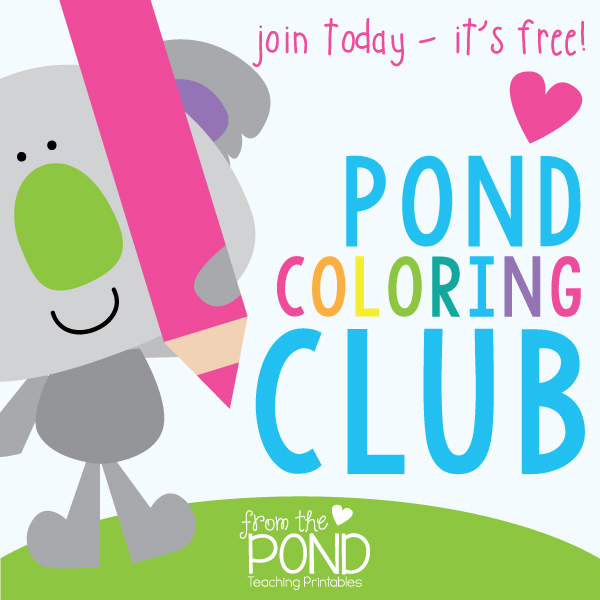 If you love coloring pages, especially free ones, hop over to our website to read all about our Pond Coloring Club! 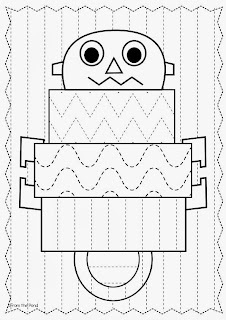 Use this fun robot themed prewriting activity to help your little learners become engaged and ready for writing. 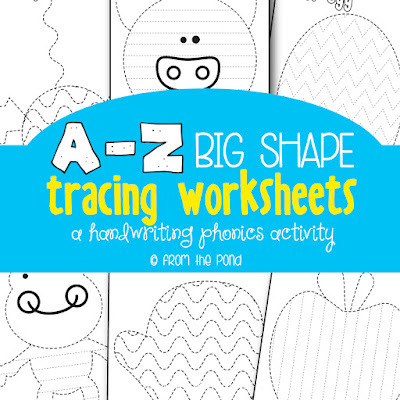 Handwriting line practice is always a great activity to do with preschool and kindergarten students. I created this little robot to help a friend of mine who is struggling to motivate her little boy with pre-writing activities! I would love you to have it too! Just click on the image below and download it from Google Drive! 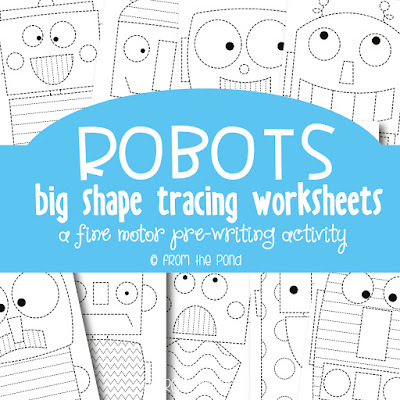 If you need more 'big shape' tracing - you can find a whole packet of more robot tracing pages on TpT. and this alphabet version is a popular one too! 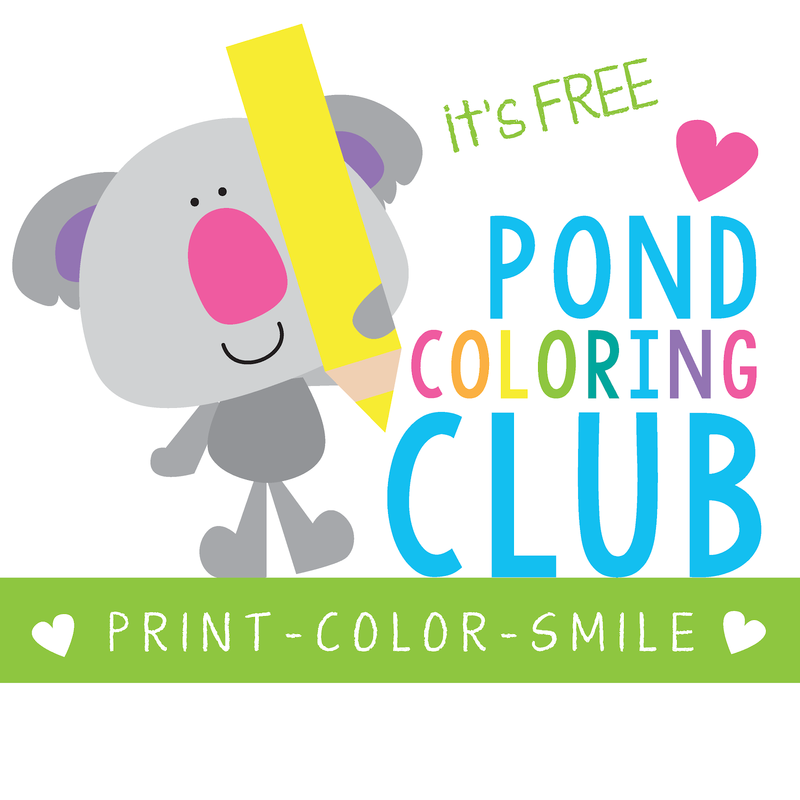 I would love to send you some more free printables for your little learners - sign up to the newsletter so we can stay in contact! Blends Bonanza will provide you with everything you need to introduce your students to consonant blends in your phonics program. 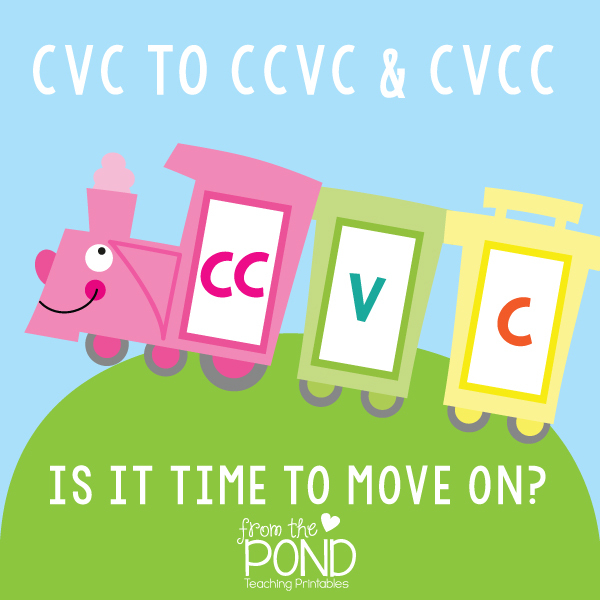 Are your students ready to move on from cvc words? 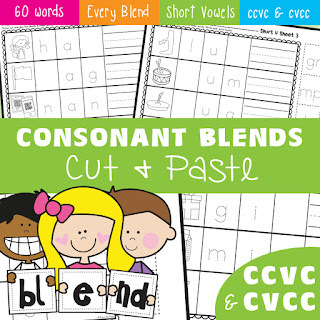 This pack will help get you started, teaching ccvc and cvcc words! When teaching consonant blends it is most effective to begin with words than can be sounded-out. It is assumed that your students have already learned single sounds and cvc words. The 60 words have been carefully selected, and I have made custom graphics to suit. The 60 words cover ALL of the main blends and there are 12 pictures of each short vowel sound grouping. It is anticipated that you will introduce these words to your students, sorted in a short vowel sound focus. 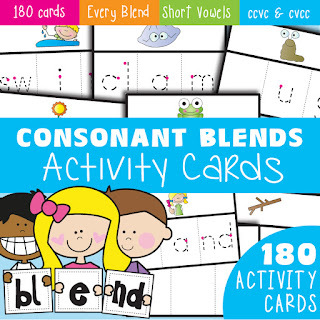 The consonant blends that come in the initial position in words, in this packet, include: bl, br, cl, cr, dr, fl, fr, gl, gr, pl, pr, sc, sk, sl, sm, sn, sp and st. The blends in the final position in words, in this pack are: ct, ft, ld, lf, lk, lm, lp, lt, mp, nd, nk, nt, pt, sk and st.
What is included in the bundle? Use these with magnetic letters or dry erase markers, and students 'build' the word in 3 parts (beginning, middle, end). These will follow on from the word making mats in our original cvc resource "Word Making Train". 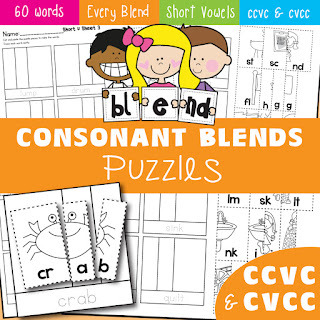 Print these worksheets for students to build ccvc and cvcc words in a fun puzzle format. 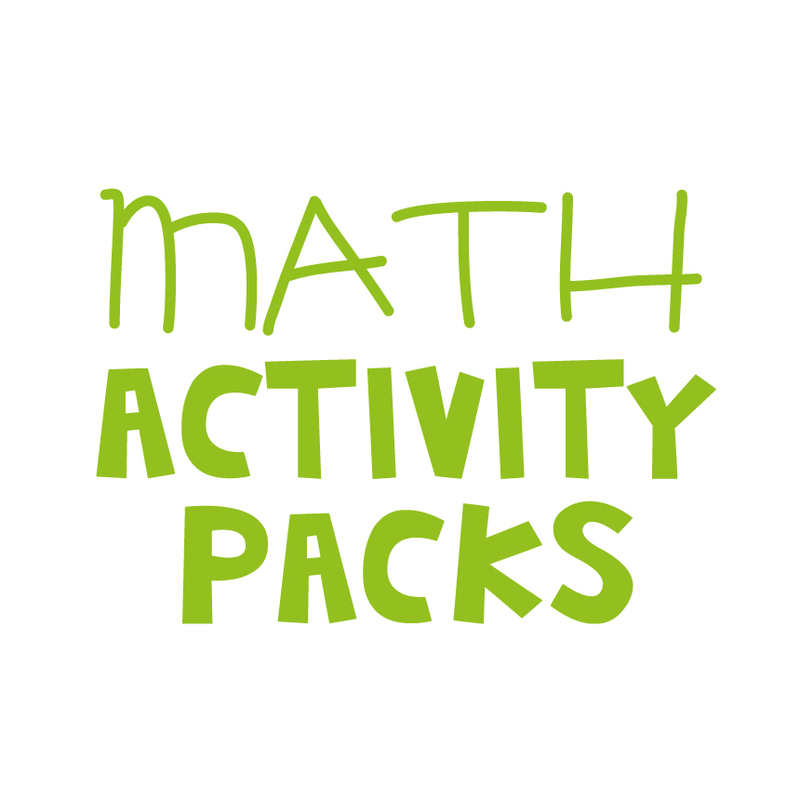 Each worksheet features 4 puzzles! 60 puzzles are included! Head over to TpT to grab the files, and I thank you once again for your amazing support! 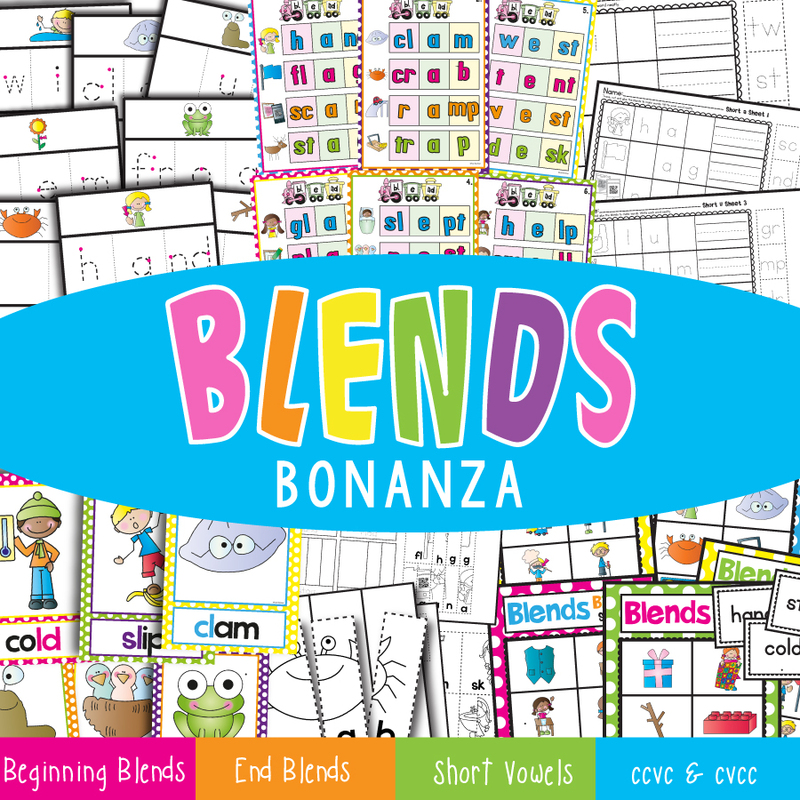 'Blends Bonanza' will help you move on from cvc words with your little learners after they have mastered blending 3 single letter sounds. After cvc words look at words that have two consonants in the initial or final position of a word. It makes more sense if students move from cvc to ccvc,to learn blends. Why? Because the only difference between a cvc and a ccvc is one extra consonant. They'll learn it in a snap. For example, it is better to teach the blend "cl" with resources that features words like clam, clip and club (all ccvc words) than 'clothes', 'cloud' and 'clever'. Because there are not too many words in ccvc and cvcc format, you will need to structure your program based on a short vowel sound focus - not a blends focus. For example, one week you can teach a host of ccvc words that have the short a in the medial position. This is very achievable, as students pick up blends so quickly. They are easier to learn that tricky digraphs that make a whole new sound - like oi or ou. 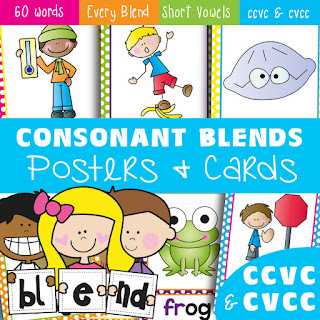 Consonant blends look like they sound. Once students learn a few, they pick up the others quickly. 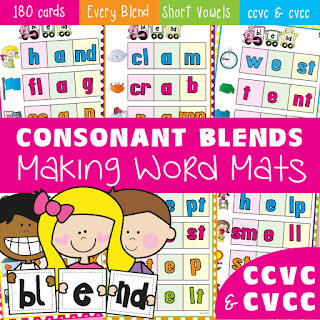 All the resources in our new Blends Bonanza pack will help you introduce and teach blends in ccvc and cvcc format! You may also have to 'teach' some new vocabulary with our resources - just a few. We have used some ccvc words that may not be overly familiar "stag' for example (male deer). Little learners will learn these new words quickly as part of an overall focus for the week. Your first activity for the week should be to introduce a bank of words and discuss them. Perfect timing! When you have a short vowel focus to your program, your students will be learning multiple blends at the same time - for example if you do 'short a' first, they could focus on plan, tank, trap and ramp all on one day. What ties them together is the short vowel, not the blend. 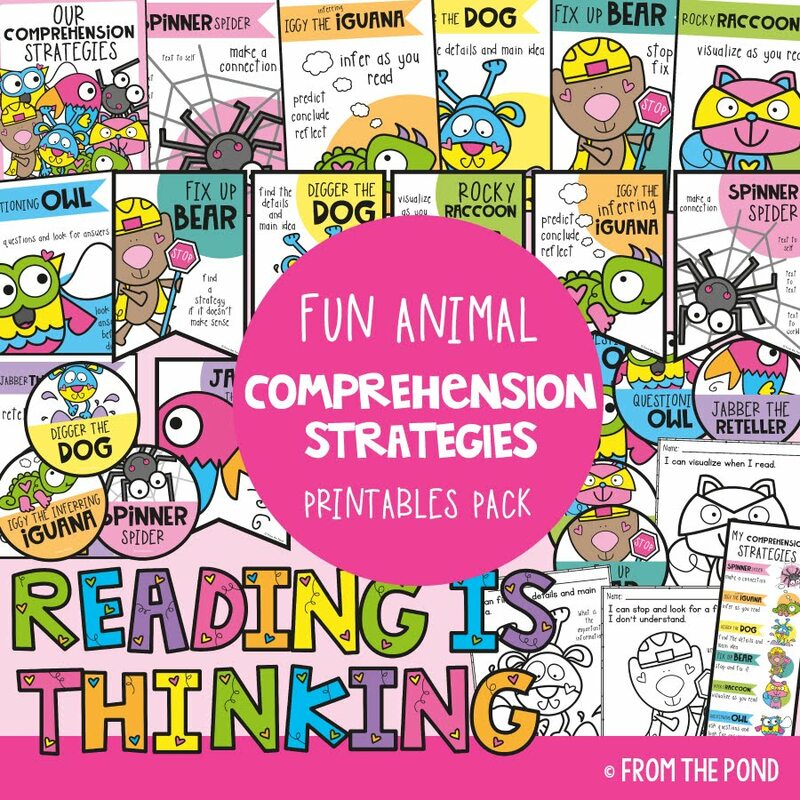 This packet of resources would follow on very well from our "Words Train" resource, that helps learn cvc words. Although it is not necessary. 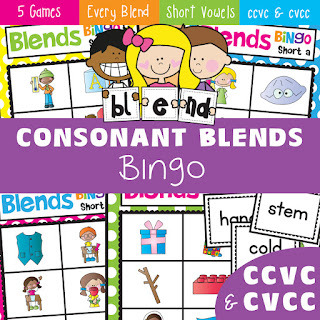 This resource encourages students to build and make cvc words to gain and understanding of cvc words. When you use a framework like this for word work, where students are 'building' the word on a structure, it makes learning blends SUPER easy. You just show students how you are making one letter to one of the cards. During your very first lesson on blends, make a cvc word with the coloured cards, and then physically write a new letter on one of the existing cards - so in the image below - b, a, t would become br, a, t and the students could see very clearly how easy it is to add a new letter and make a new word. For blends, I would recommend that you print and use the posters to help introduce the students to your focus words for the week. I printed these '2 to a page'. 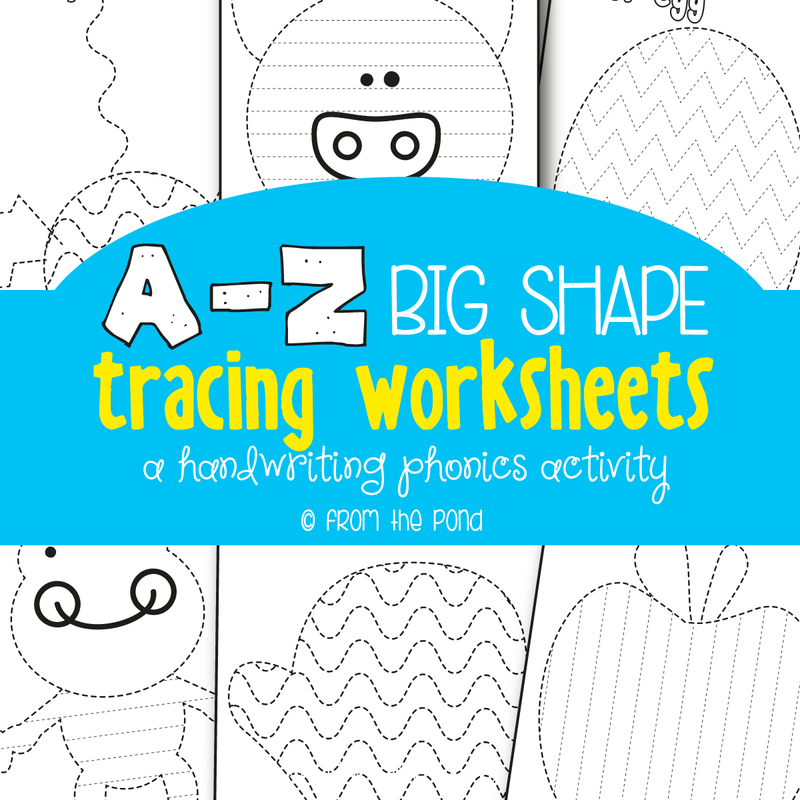 The bundle includes worksheets where students can cut and paste to build the word. Write'n'Wipe cards are also available to use in a literacy centre or small group. The word building mats are very similar to the ones in my cvc packet, incorporating colours for each section of the word. This will assist your students in recognising the blend as one chunk within the word. You can use them with letter brick, magnetic letters, or my favourite - dry erase markers. 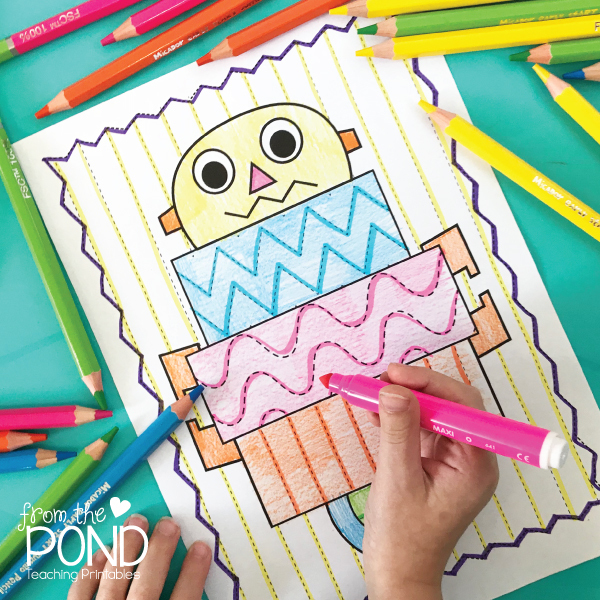 I would love to share a little printable writing activity with you today also. This little interactive sweet cupcake incorporates a Valentine theme AND 'getting to know me' theme - perfect for this time of year. 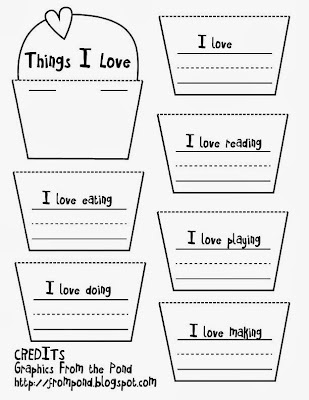 My kinders have always loved pinning activities, and my daughter is loving it at the moment too! I just made this 'Penguin Love' pinning page for her, and would love to share it with you. One thing that I LOVE is visuals. I have to say, I do struggle to really teach something well, if I do not have a 'visual' of some sort to go along with it. 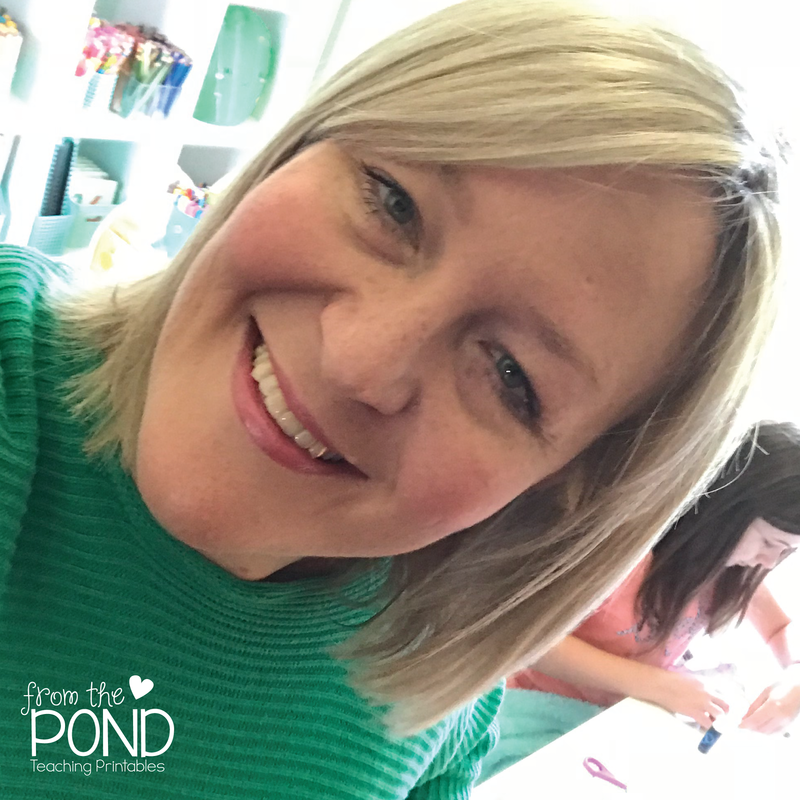 When I introduce new activities and procedures in my classrooms, I find things go very smoothly if I have taken the time to explain the rules and procedures that go along with the activity, before we commence. If I do not have 'visuals' ready made, I often 'act it out' and create a little action scenario for the students to watch. Another approach is to take photos. I use photos of positive and correct procedures to manage student behaviour, and keep them in the bottom drawer of my Core Drawers. I find that sometimes, little kinder minds are overloaded with TOO MUCH LANGUAGE! A picture, as they say, tells 1000 words. As soon as a picture comes out, I can see my little friends nod in recognition - they REALLY understand! It also helps them to organise their thoughts, and put the various points you are talking about into an easy-to-process logical sequence. Today, I made some visuals for "Pinning Rules". These have been on my to do list for a long time, and now that I find drawing pictures on the computer a lot easier - they have finally come to life! 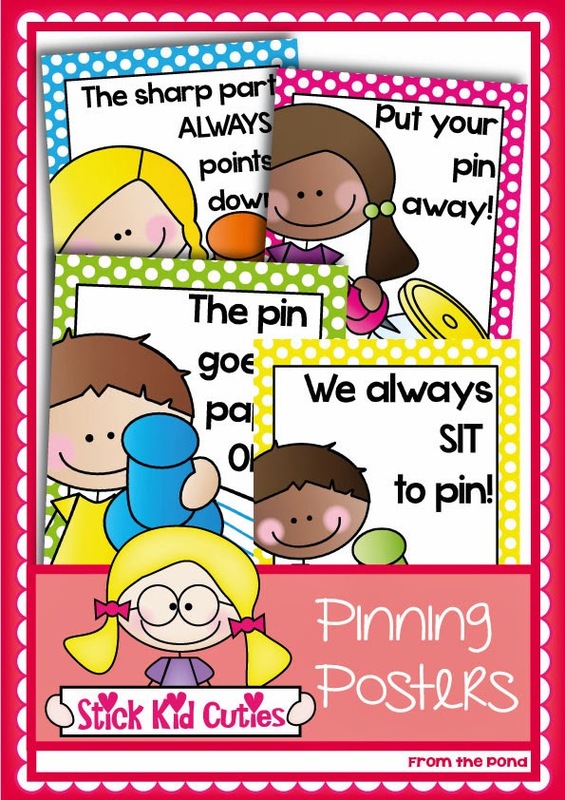 These visuals will help you to have a discussion with your students about the way you want them to behave when using pins in the classroom. I always start out, in discussions of these sort, by saying something like "Today, you might like to join in a very special activity. IF you want to do the activity, you need to follow some special rules. The only way you can do this activity, is by following these rules. IF you cannot do these things, you will not be able to complete the activity".... that way my students know right form the-get-go, that 'this is the way it its done". I have found that in my classroom, it is easier to start things 'tightly monitored', and then 'let go' a little, than to start with no rules and then try to tame the chaos. I hope that makes sense. There are 4 main rules in my pinning activities. 1. The sharp part of the pin ALWAYS points down. This is the case when you are holding it, using it, or putting it away. It never points out, or towards another person. 2. We always sit to pin. Students must be sitting down to begin and complete their activity. 3. The pin goes in paper only. We do not poke our pin into ANYTHING else! 4. Put your pin away. This is a very important one. Immediately after the pinning page is complete, the pin goes back in the tub. This will stop pins from ending up on the floor and in a shoe! You may find that after a discussion like this, the mood of the class is somewhat 'down'. Children do not tend to eagerly await a discussion about rules. I lighten things up, by adding a few laughs to the discussion, but then bringing it back to a mention of the seriousness of safety. Also, point out to your students how happy the children are in the posters. Tell them that they are happy because they are having fun, and at school, fun comes when you follow the rules! I found these GIANT pokey pins this week!! SO in LOVE! I would like to offer these posters, to you, my very special blog followers, for FREE for a very short time! So head over to TpT now to grab them. Click on the image below. 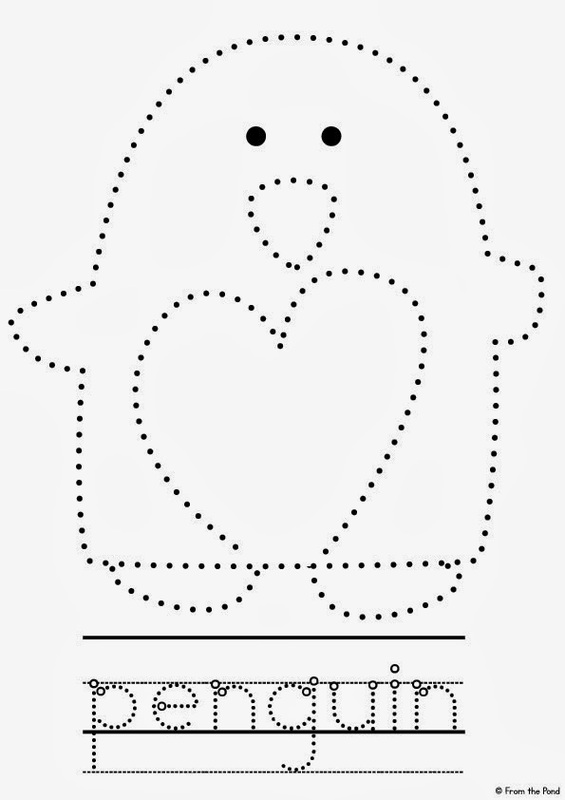 You can also grab the Penguin Love pinning page from Google Drive by clicking on the image below! Welcome. My name is Mel. 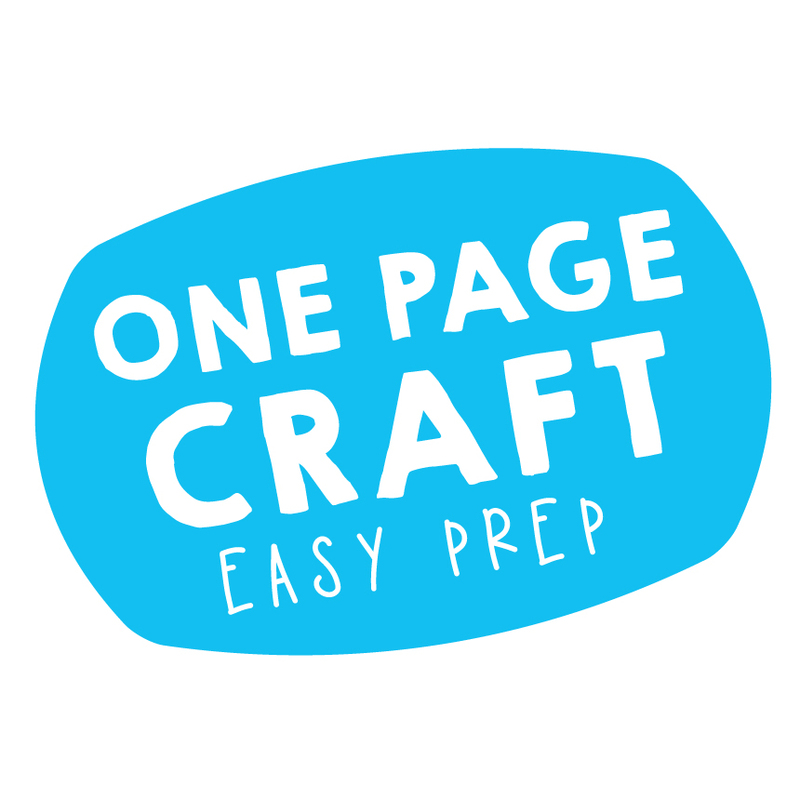 I've been designing creative, easy to prep printables for you since 2004. 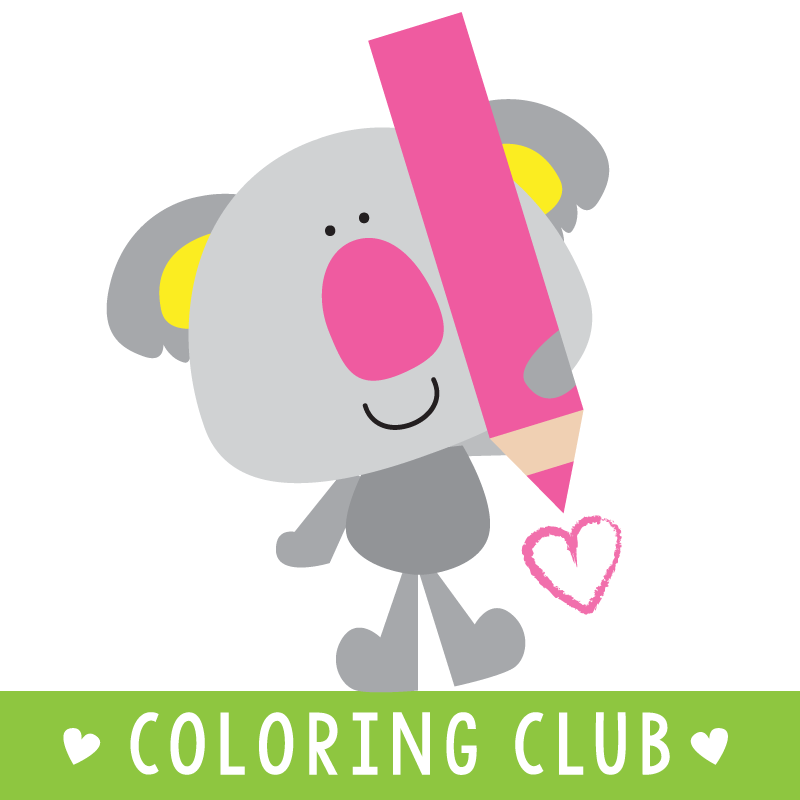 Together we can make learning fun! Join our newsletter. 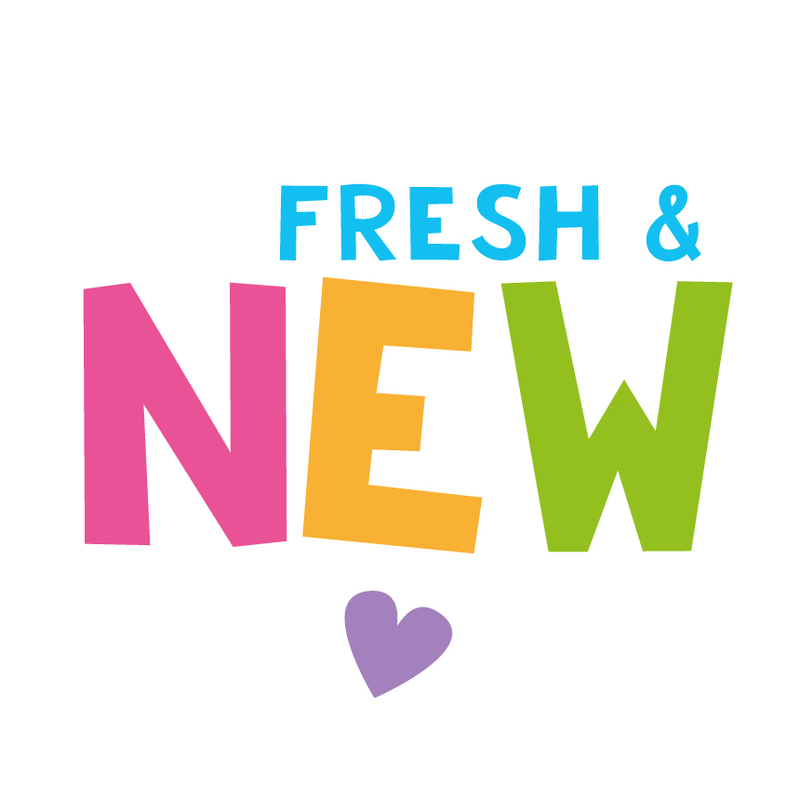 We send weekly news of new offers, fresh updates, new release items for sale, exclusive freebies and ideas. Ideas by Mel, From the Pond. All Rights Reserved. 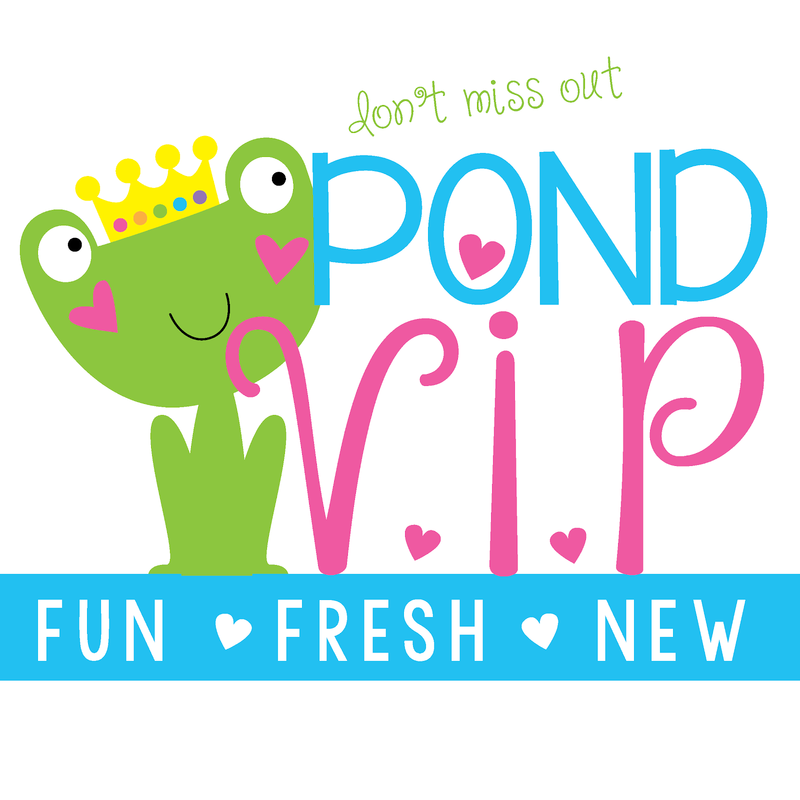 All pictures and posts belong to From the Pond.. Powered by Blogger.